Today I decided to go to manor farm for the open match. 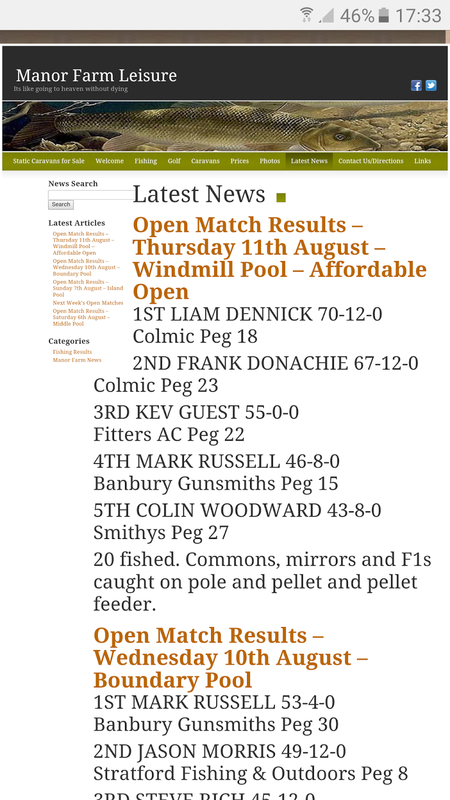 With 20 anglers fishing all on windmill pool it was going to be a tough match! This is the deepest end of the lake around 10ft at 13m. 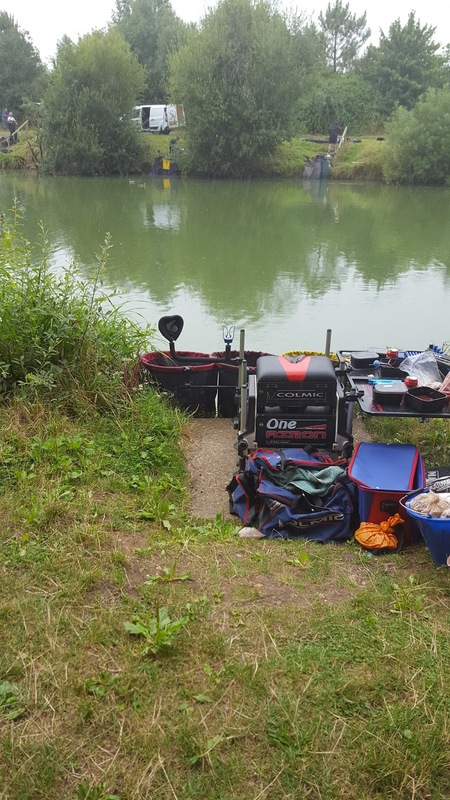 I had a very inviting tree to my right as well so decided to fish to that with 17.5m of my Colmic F44. 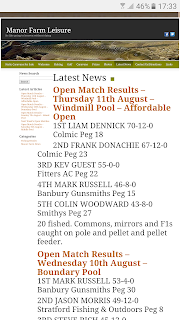 I began the match catching well at 13m on the deck and had to keep chasing fish up and down catching through the water. I did have a look down the edge a few times and only caught a few F1s and an 8lb mirror. 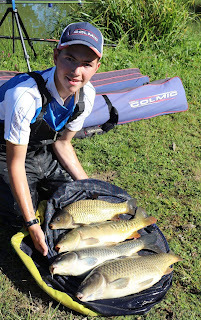 I caught a lot of small F1s between a pound and 2 pound and a few bonus carp in amongst them. I weighed 70-12-0 enough to win the match! Sunday 7th August - Manor farm open. Friday 5th August - Bourton on the water open.